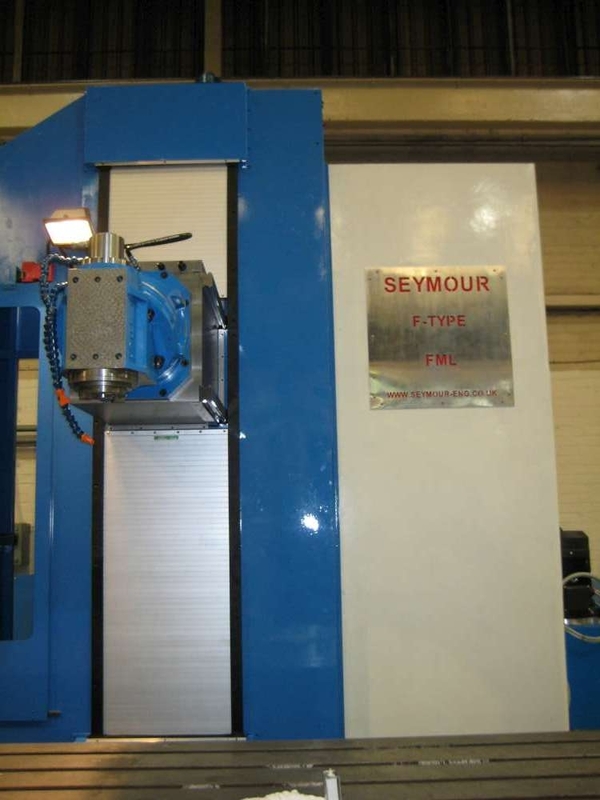 The Seymour Engineering Ltd (SEL) F-Type milling machine has been designed so the machine can be manufactured to suit customer requirements, shorter or taller columns, longer or shorter rams can be cast and the X axis travel can be shortened or extended to practically any conceivable length. 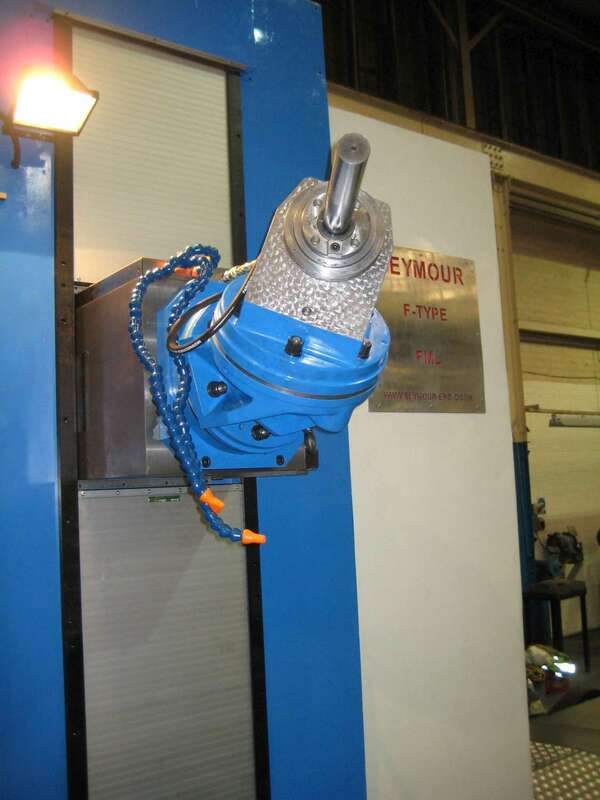 The spindle speeds and power curves will be specified to match the tooling requirements. 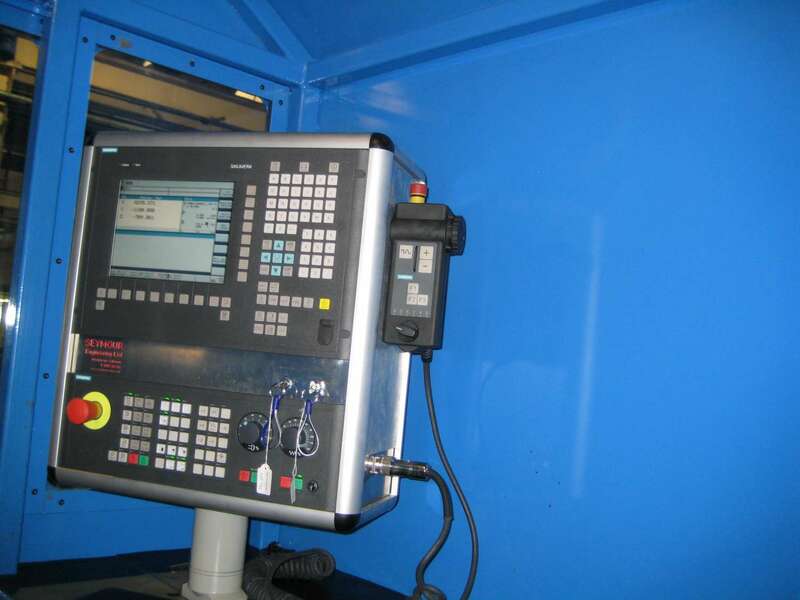 A range of milling heads of both manual and automatic types are available. This machine can be installed at floor level, this potentially reduces the cost of foundation work when compared to pit installed alternative machines. 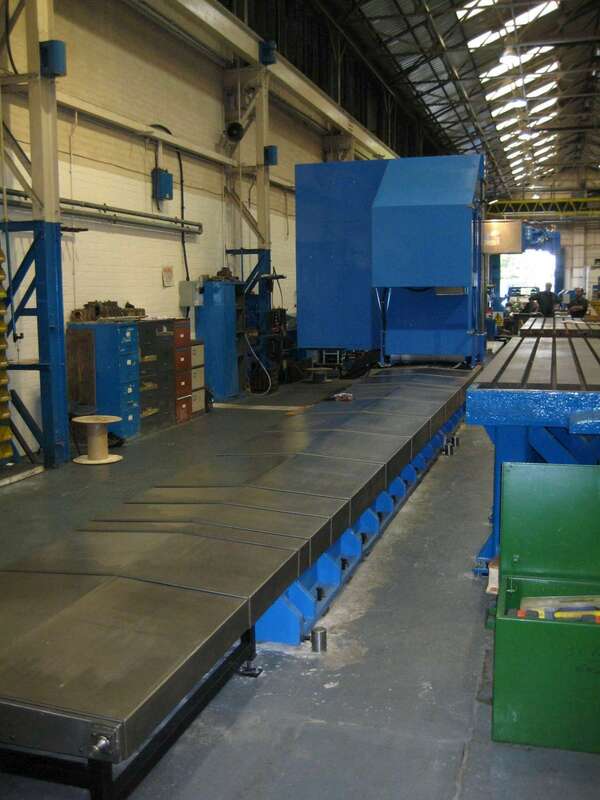 The machine can also be manufactured to fit on an existing foundation. The F-Type is designed and manufacturered in Halifax, England. At SEL we believe in keeping design and technical expertise in house, this gives us the greatest flexibility allowing bespoke design issues to be incorporated into the machines. Examples of this are the ability to adjust the bed dimensions to suit an existing foundation or adding specific technologies. The use of the very latest technology allows the machine to not only meet current safety standards but to also reduce the energy requirements and the environmental impact of the machine. General purpose universal milling machine. 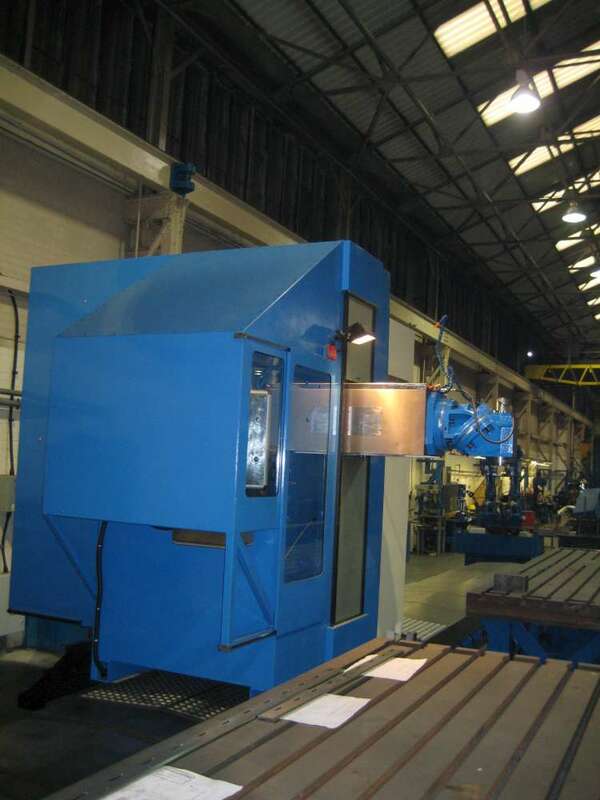 Hard material milling machine for the likes of rail and hard steels alloys such as inconnel. High speed machining for aluminium and aerospace type work. These are by no means the definative specifications, please call or email to discuss your exact requirements or for SEL to recommend a specification to meet your needs.